Phoenix, Az. (June 14, 2017) – Clear Title Agency of Arizona, a leader in commercial and residential title and escrow services, continues fast paced growth in its 10th year of operation. Clear Title acquired the 25k sqft. 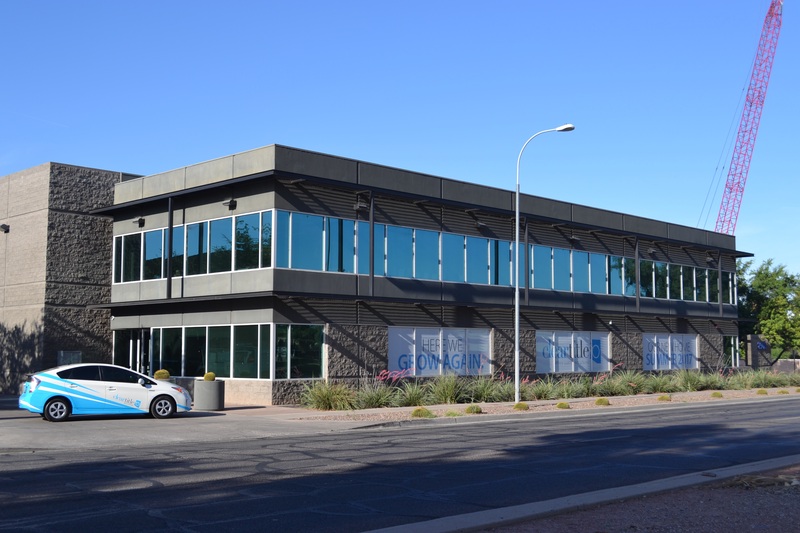 office building at 2901 E. Camelback Rd. to house it’s main office. The locally-owned company formerly was at 2910 E. Camelback Rd. Clear Title has eight branches Valley-wide in the Biltmore Corridor, Paradise Valley, Scottsdale/Kierland, Mesa, Tempe/Chandler, Gilbert, Arrowhead and Apache Junction. Clear Title’s philanthropic endeavors include raising money for the Boys & Girls Clubs of the East Valley and the Maricopa Health Foundation, which benefits the programs of the Maricopa Integrated Health System (MIHS). Clear Title employs 75 people in its eight branches and most recently hired Frieda Jimenez, as a Commercial Escrow Officer at the new Biltmore office location. She brings more than 23 years of experience in legal, title, and escrow requirements associated with a wide variety of commercial transactions. Locally owned and operated, Clear Title Agency of Arizona provides quality title and escrow services statewide and is underwritten by First American Title Insurance Company. Balancing a strong commitment to great personal attention and fast, dependable settlement services, Clear Title is emerging as a leader in the title and escrow industry. Working to build long-term relationships by providing customers with a high level of service, market expertise, and transactional support, Clear Title is backed with the people and processes to deliver. Clear Title specializes in Residential and Commercial Title and Escrow services. For more information, visit www.cleartitleaz.com.